The second season of Starz hit series Outlander has avoided the dreaded sophomore slump in spectacular fashion. By taking its viewers to new locations and introducing colorful new characters, this Scottish love story just got a whole lot more interesting - as we now have to patiently await the third season. Before we get ahead of ourselves by looking ahead to 2017 and beyond, let us go back in time to 1968, where twenty-years have passed and we now see an older, but still gorgeous Claire Randall and her lovely daughter Brianna. Creator and executive producer Ronald D. Moore says that the writing team decided to save all of the 1968 events for the finale and it appears to have been a smart choice. This episode was grand in scale, as we are treated to two different tales separated by over 200 years. 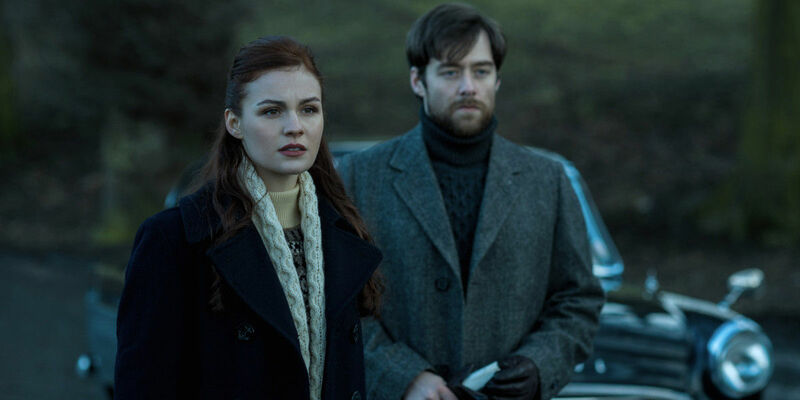 In 1968, Brianna and Claire run into Roger Wakefield, while attending his father's funeral. We also discover that Frank has already passed on and Claire has become a surgeon in Boston. Even though two decades have passed, Claire is still deeply in love with Jamie and is constantly reminded of him every time she looks at her daughter's red hair. In a touching moment while visiting the now ancient battlefield at Culloden, Claire finally says goodbye to her long lost love while placing her hand on a stone that reads "Clan Fraser". 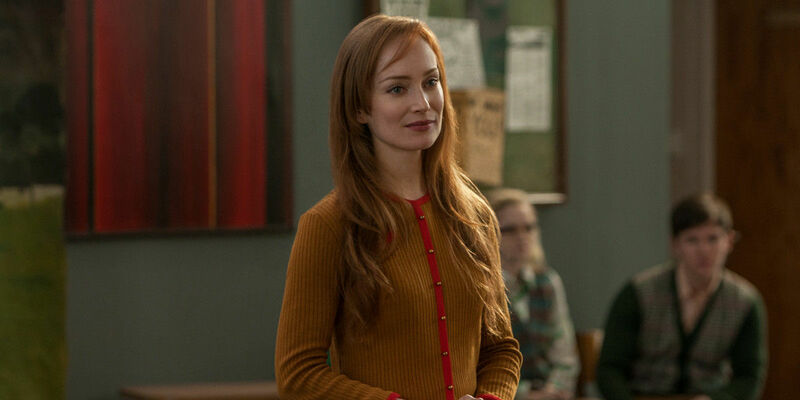 Claire's already emotional vacation worsens when Brianna and Roger discover newspaper clippings and old journal entries that shed light on her mysterious past. Caitriona Balfe delivered a great performance this week, especially in those moments with her daughter, as she painstakingly tries to explain her extraordinary story. Roger is a very likable character, as Richard Rankin (Burnt) brings a warmth and charm to this romantic historian. Sophie Skelton's portrayal of Brianna was solid, but the English-born actress struggles to make her Bostonian accent ring true. All that aside, she does look like like the offspring of Claire and Jamie Fraser. In a surprising twist, we are reintroduced to the lovely Geillis Duncan, or Jillian Edgers as she's called in 1968. We now know that Edgers was a strong nationalist who wanted Scotland to be independent so much, that she was willing to sacrifice her own husband to pass through the stones of Craigh na Dun in order to influence history. Hopefully we'll see more of her at some point, and also learn more about the science behind the stones. Is there some kind of Flux Capacitor? Back in 18th century Scotland, Jamie and Claire try a desperate plan to assassinate Prince Charles, which ends up in the worst possible outcome. Instead of killing the prince, Jamie, with Claire's help end up killing Dougal MacKenzie. Sure, he's not a likable guy, but Jamie has betrayed his clan in the worst possible way. It was a tough decision and Claire had a point when they first decided to kill Charles, which was to take one man's life in order to save thousands. The whole "moral ethics code dilemma" in this situation is classic television drama and Outlander sure delivered in this scene. One has to feel sorry for Jamie though, who claims he would follow Claire to hell, but now he has to live with the guilt of killing a family member. Graham MacTavish was superb on this series and his presence will be greatly missed. Back to 1968, after Claire learns that Jamie is still alive, she is now faced with the difficult task of whether or not she should return to the 18th Century. Being away from her long lost husband is tough, but she has a daughter now and a responsibility to her. Brianna is a young woman, but can Claire so easily leave her behind? Also, having not read the books, how time travel in this story actually works is still a bit confusing. Will she end up in Scotland twenty-years after the battle of Culloden, or will she return as her younger self? Where's Doc Brown when you need him? Great Scott, Claire! 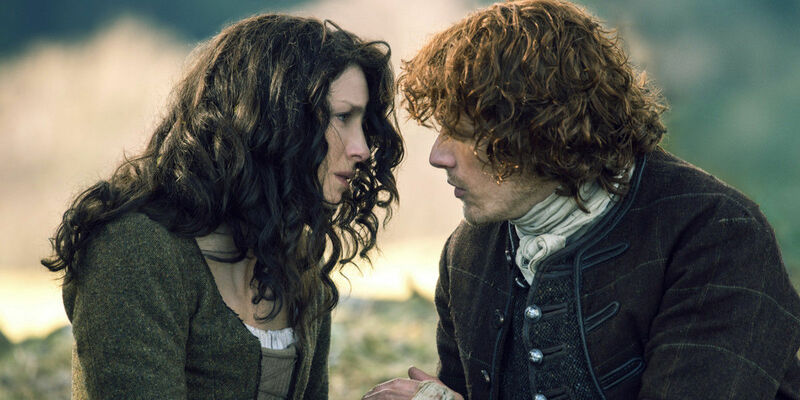 Time travel speculations aside, this was a stellar season of television, with Emmy-worthy performances from Balfe, Heughan and Menzies. The cast and crew continue to grow in their abilities to craft engaging and memorable stories along with the help of consultant and author Diana Gabaldon. What did you think of season 2? Outlander will continue with season 3.